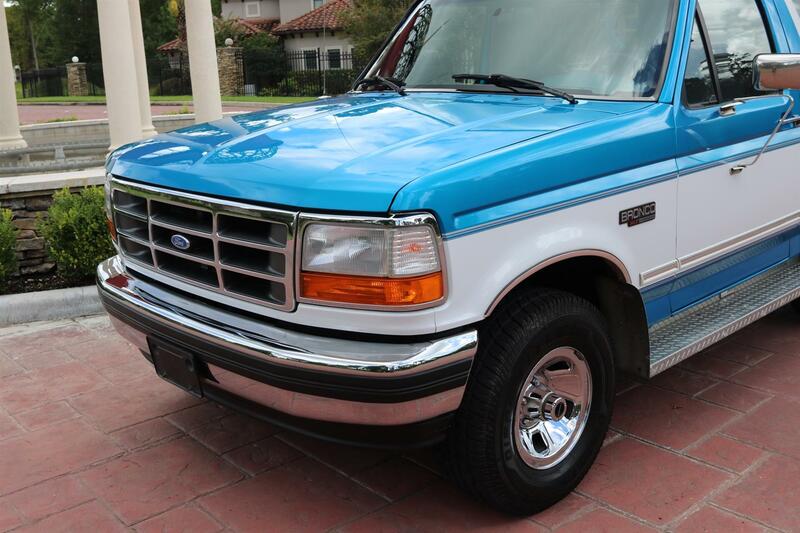 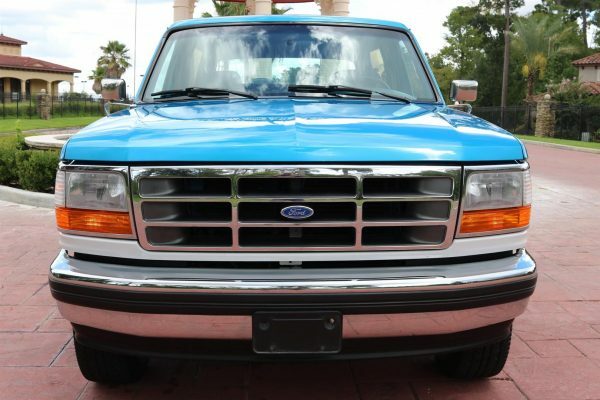 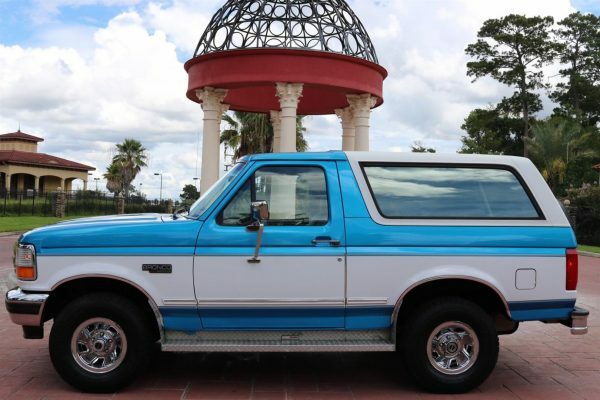 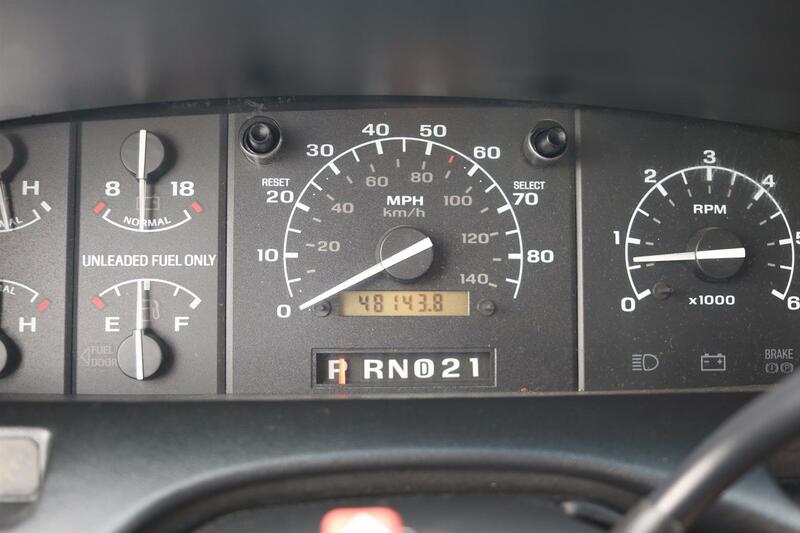 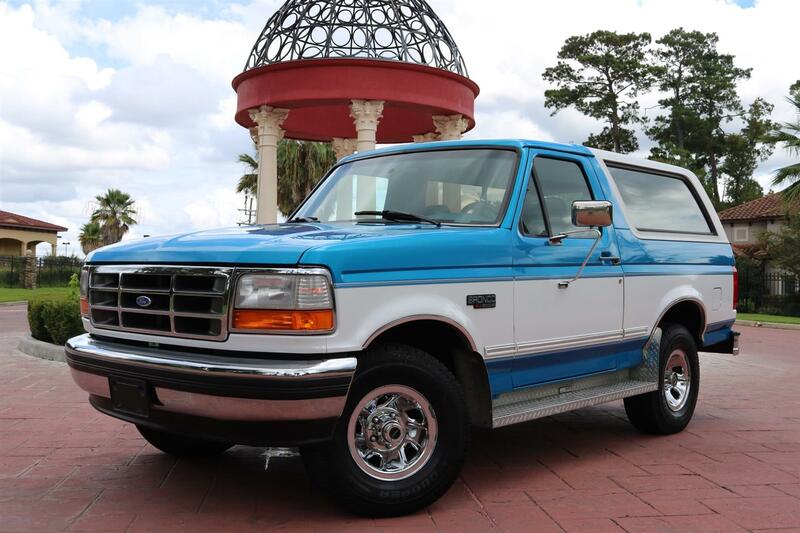 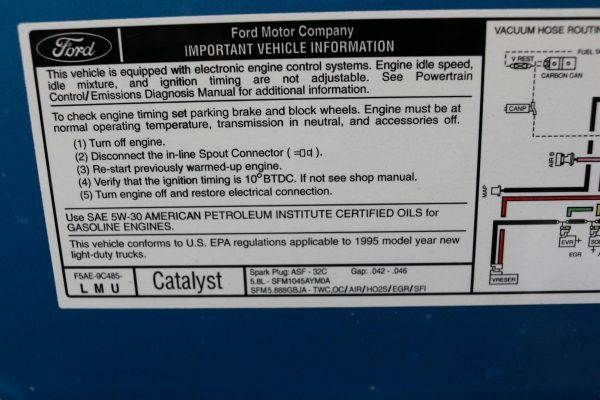 1995 Ford Bronco XLT: 5.8L, Auto, 4×4, A/C, 100% Original, Extremely Clean with only 49k Miles, Pristine Original Paint! 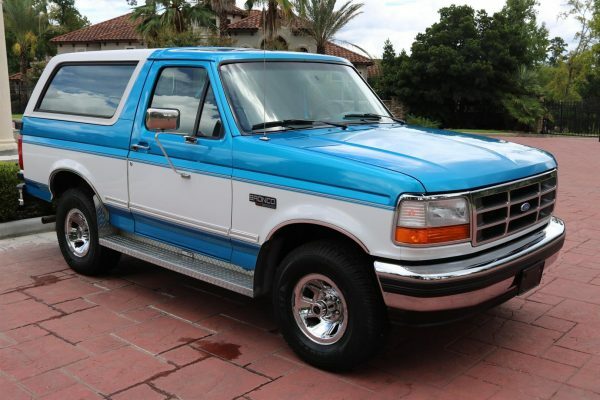 1995 Ford Bronco XLT: Following the introduction of the 9th generation Ford F-150, the Bronco saw a major design update for the 1992 model year. 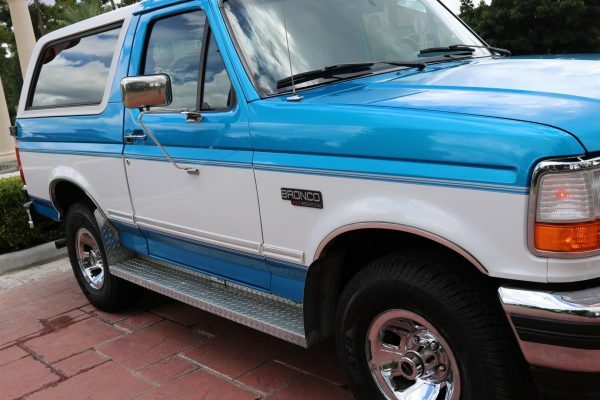 Again based on the same basic F-Series chassis introduced in 1980, the Bronco again saw updates to the exterior and interior. In the interest of making the vehicle more aerodynamic, designers again used wraparound composite headlight units and a larger grille. 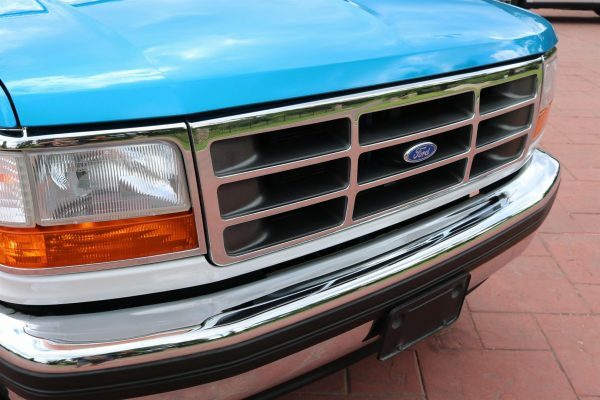 Although protruding from the body, the larger front bumper was given a rounded design. 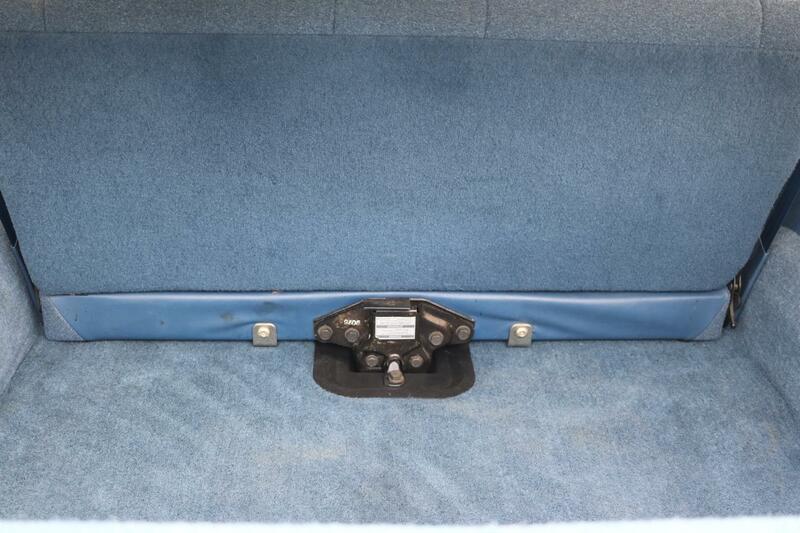 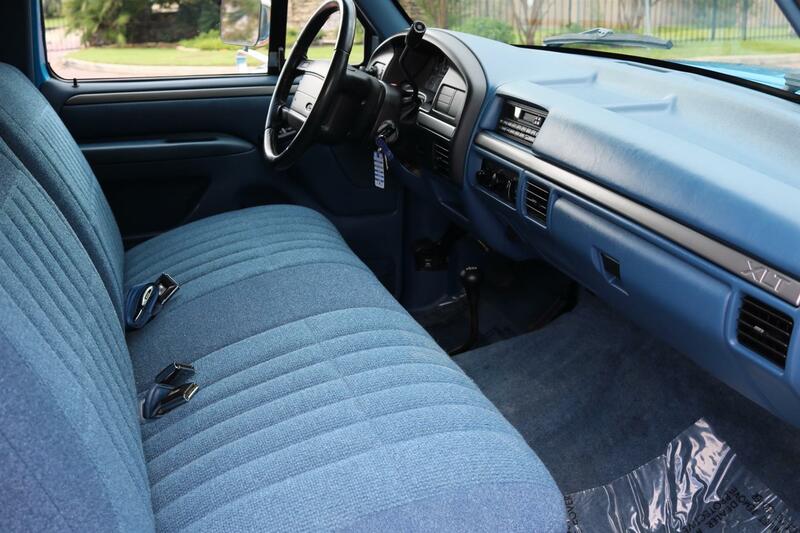 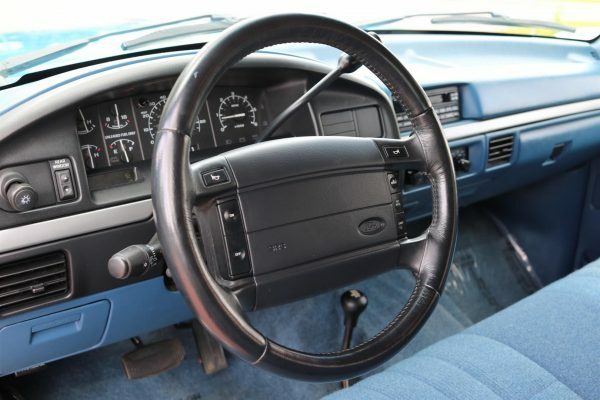 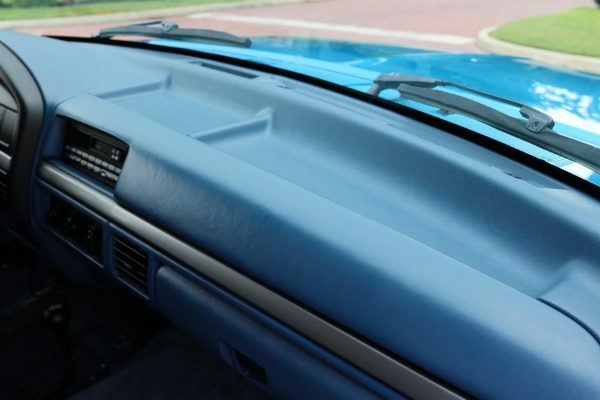 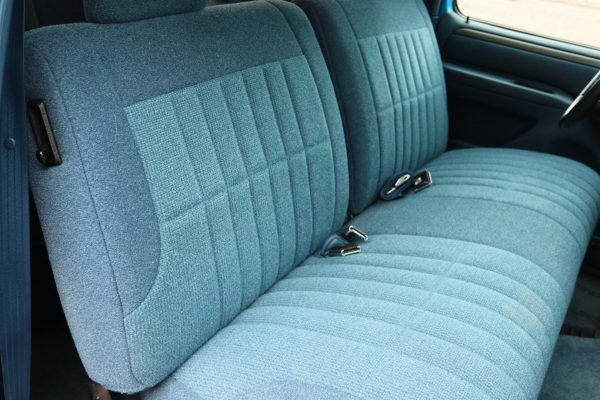 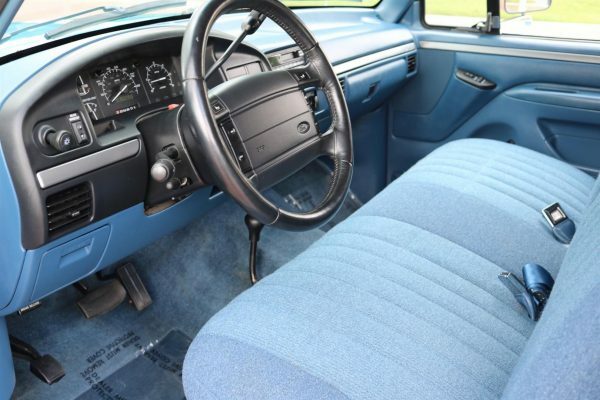 The interior again saw updates to the dashboard and instrument panel, with the addition of leather front seats as an option (for XLT and Eddie Bauer trims). 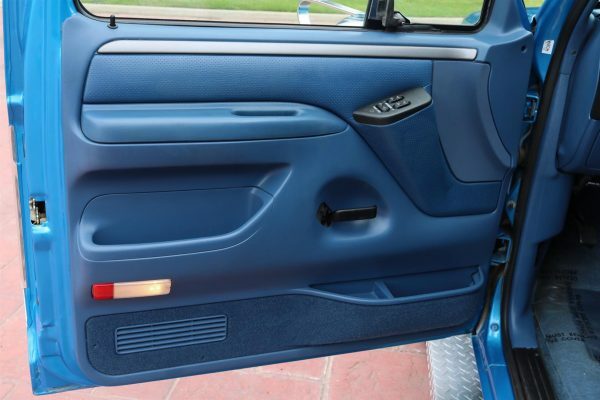 The redesign of the Bronco for 1992 would include the addition of a number of safety features, including front crumple zones, three-point seatbelts for the rear seat, and a center-mounted rear brake light. 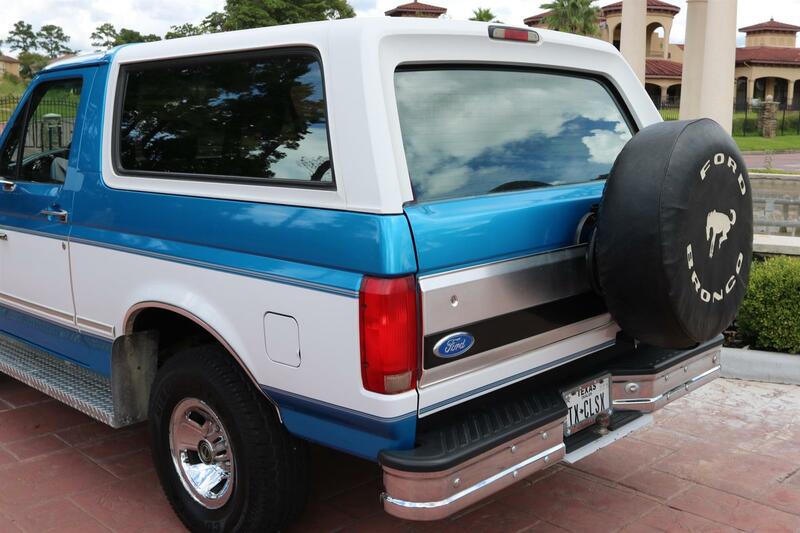 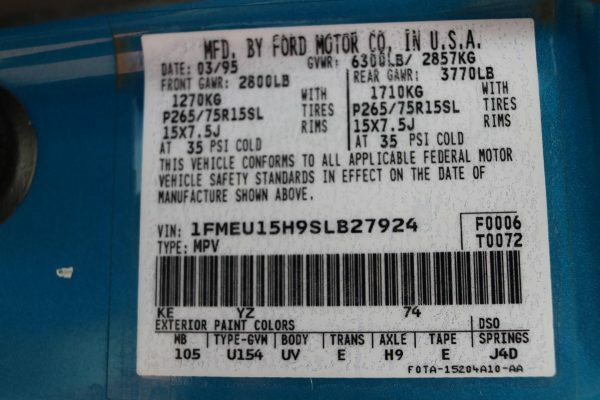 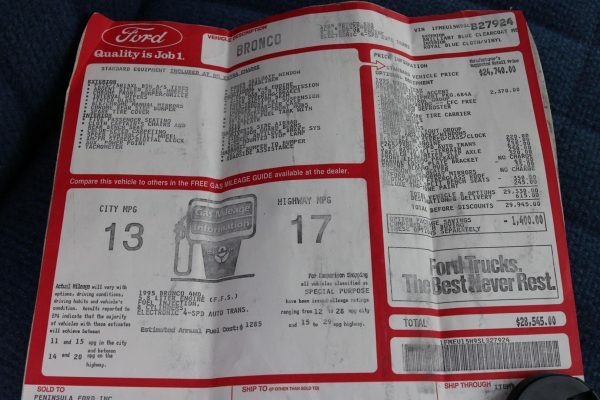 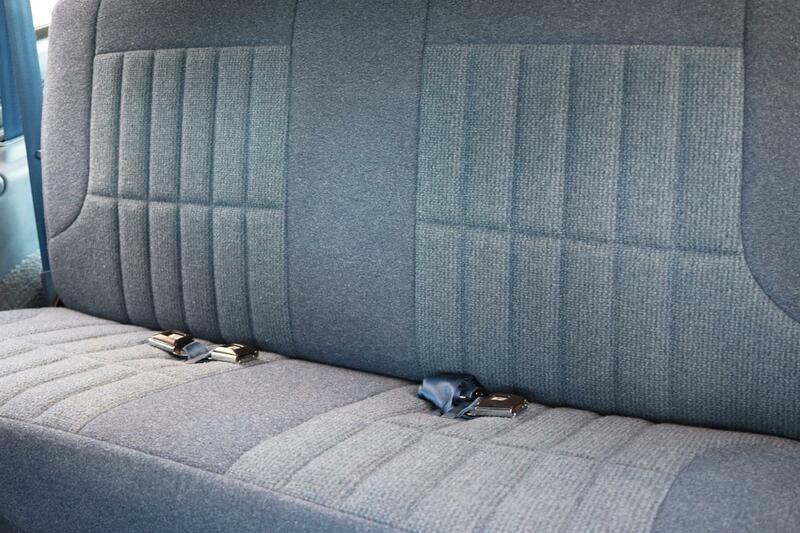 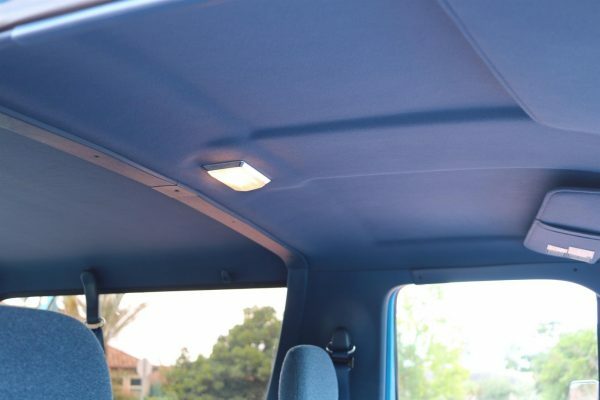 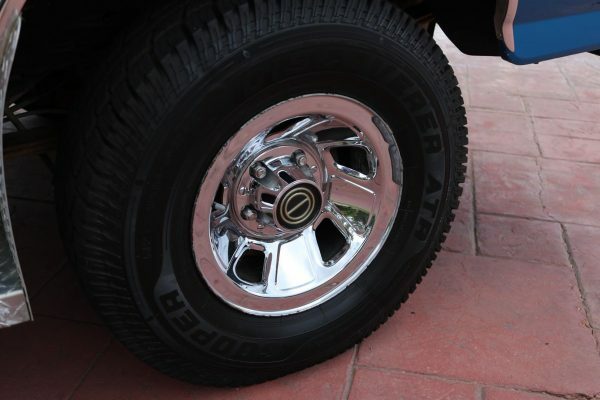 In 1994, as with the F-150, the Bronco received a standard driver-side airbag and reinforced internal door beams. 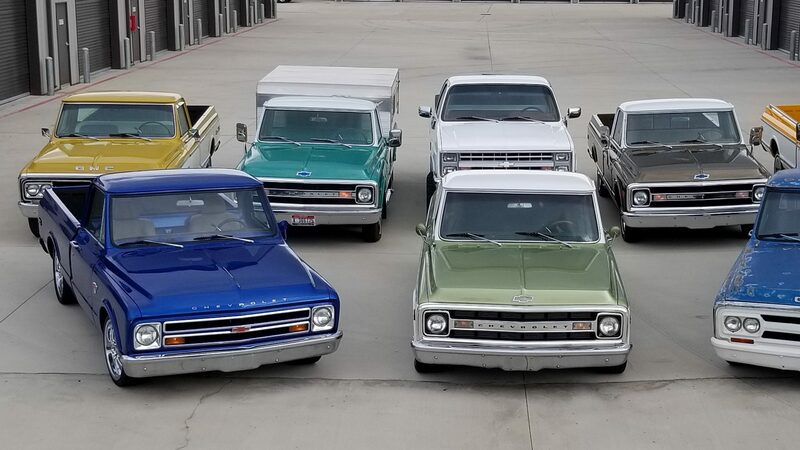 Performance and safety aside, these 5th Generation Broncos also have iconic great looks and the interiors comfortably accommodate up to 6 passengers. Finished in a deluxe two-tone Brilliant Blue and Oxford White, this immaculate Bronco is as nice as you will find! 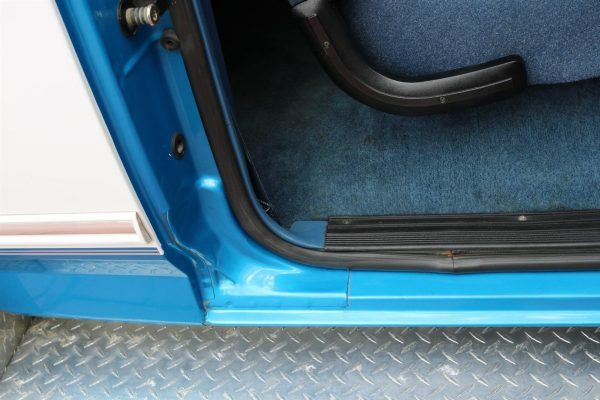 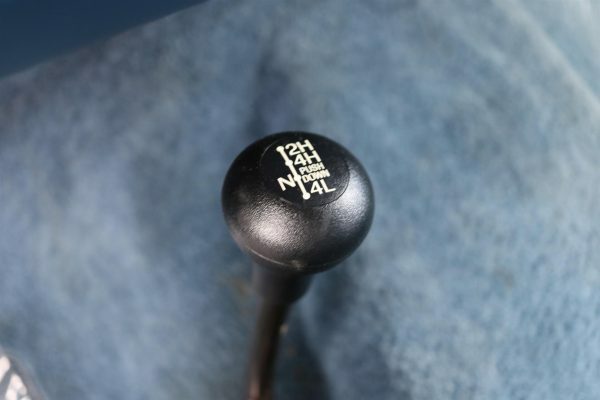 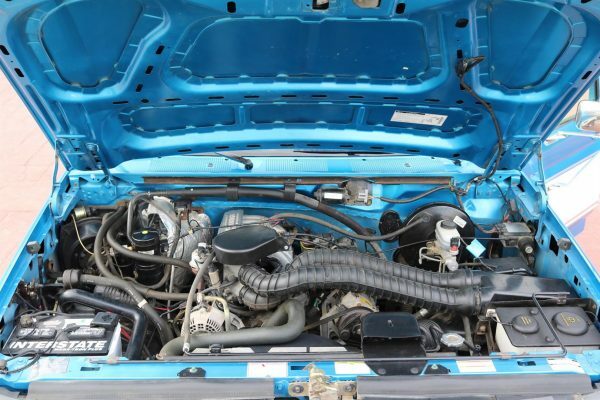 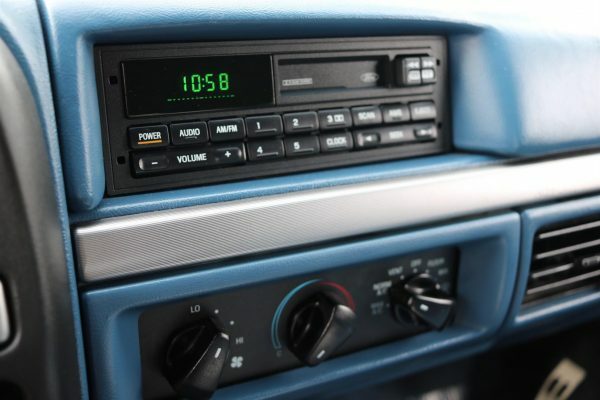 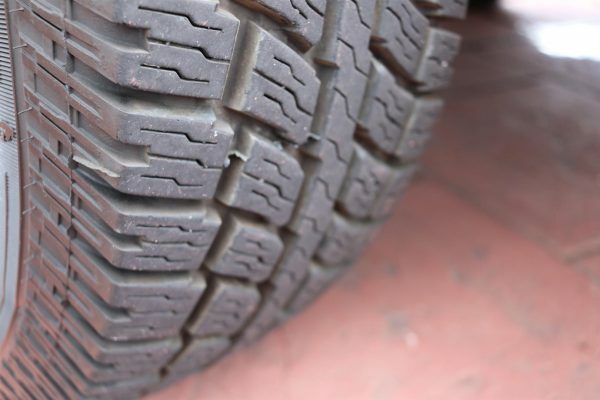 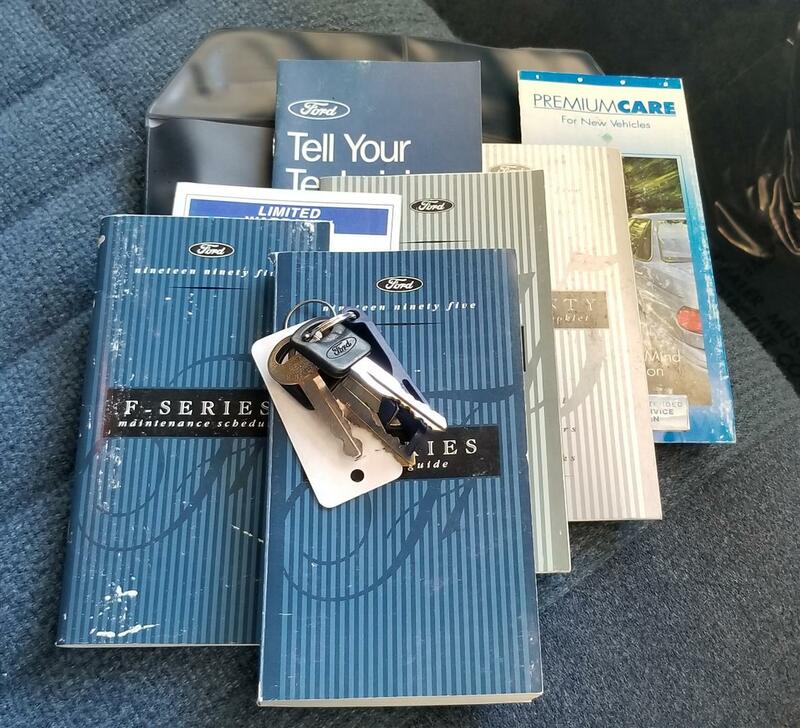 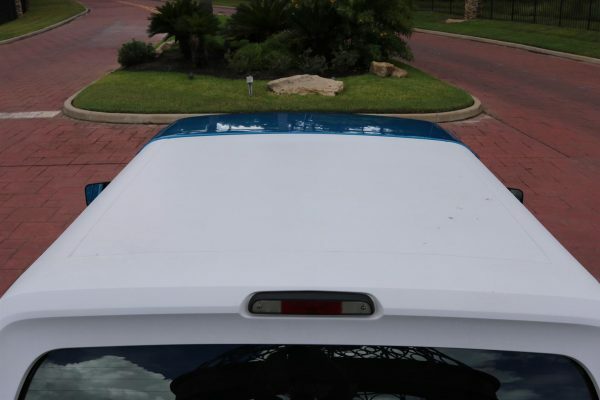 It is obvious that the previous owner babied this vehicle and knew how to maintain it to like-new standards. 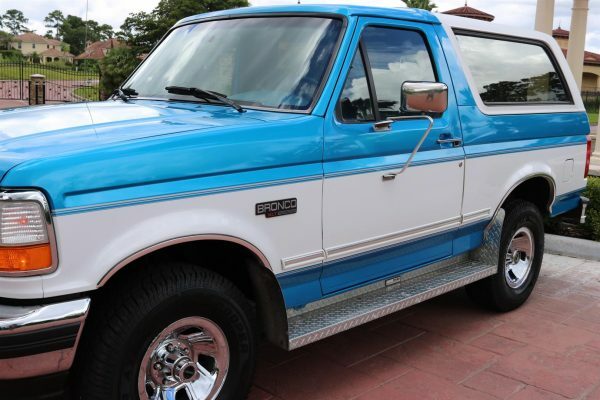 It has always been garage kept and the original paint is still a 9.5 out of 10 even after 24 years on the road. 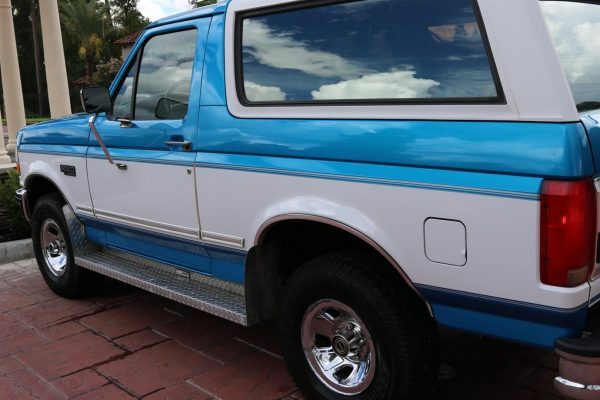 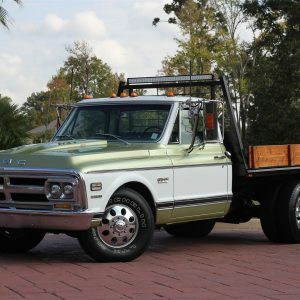 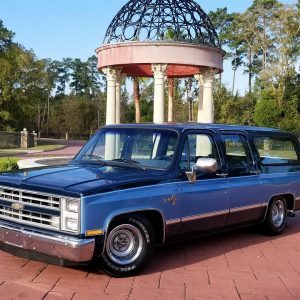 In addition to an excellent cosmetic condition, this amazing Bronco has under 49k miles from new and everything works like it should. 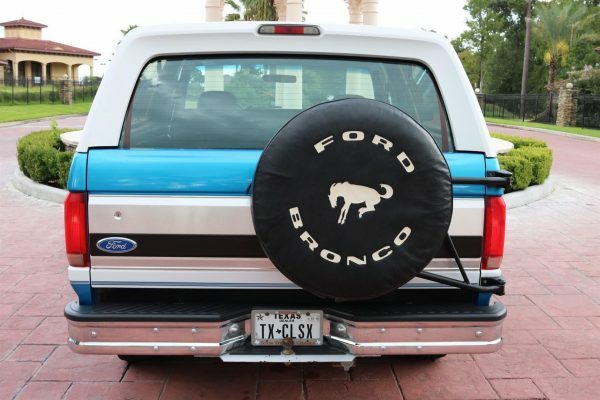 Unlike other Broncos of this era, this example has been kept 100% original. 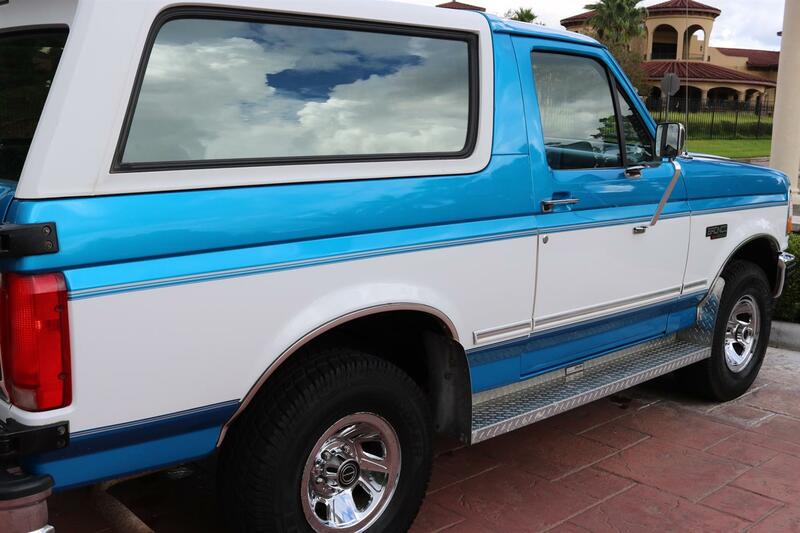 The glass, paint, rubber, interior, trim, drivetrain, and tires are all in excellent condition. 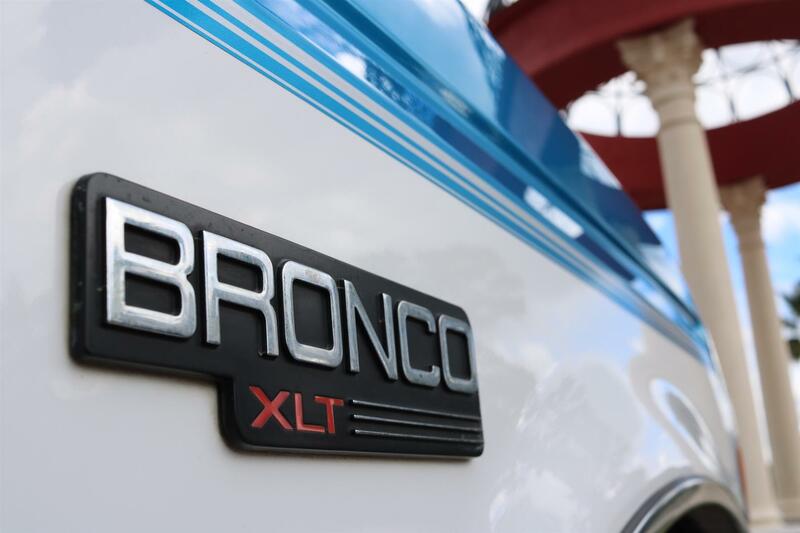 If you can refrain from putting a ton of miles on this Bronco you can guarantee this beauty will continue to appreciate just as the 1st generation Broncos have. In 2020 this Bronco will officially classify as a “classic” by most states’ parameters. 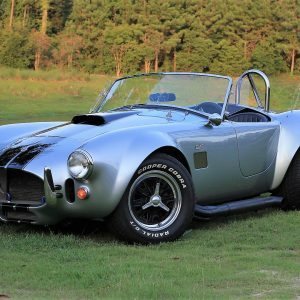 This will allow the new owner to take advantage of big discounts on registration renewals, inspection fees, and more importantly insurance. 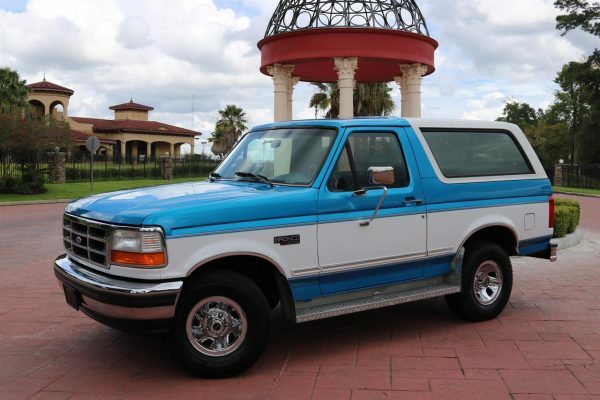 A complete list of features and options include; 5.8L V8, 4-Speed Auto, 4×4, XLT Pkg, Preferred Equipment Package, A/C, Front Airbags, ABS Brakes, DeeZee Chrome Running Boards, Chrome Grill, Cruise Control, Power Steering & Brakes, Power Windows & Lock, Power Rear Window, Rear Window Defrost, Factory AM/FM/Cassette Radio, Tilt Steering, Tinted Glass, Tow Package, Vent Windows, Owners Manual, Window Sticker, Full Spare (w/Cover), 15″ Factory Luxury Chrome Rims, and thick Cooper Discoverer 31 x 10.5 R15 LT Tires! 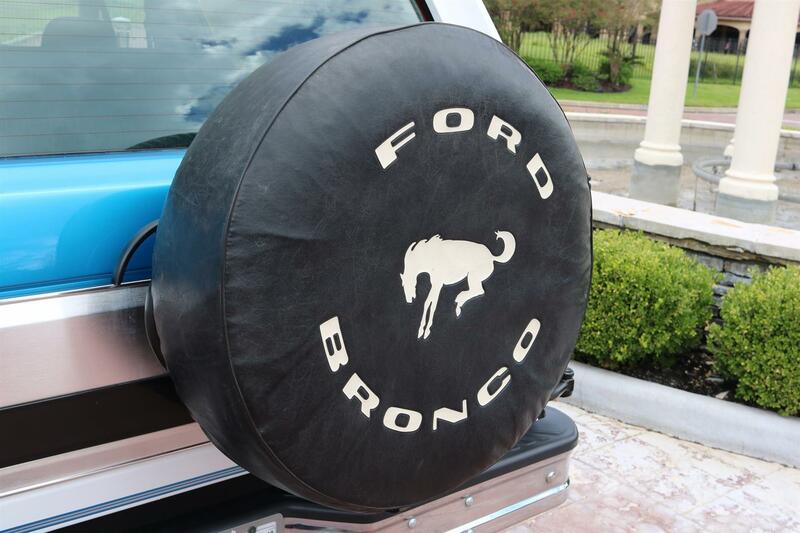 This Bronco will not stay around long so contact us today to discuss becoming its new caretaker.